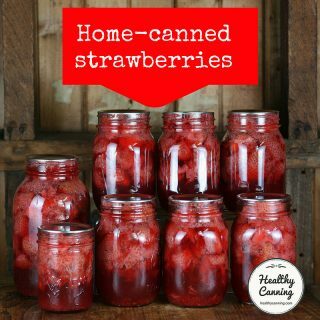 Drying food might seem to some like the poor cousin of canning, but it’s actually a valuable add-on to your home preservation skills. There are some things that are easier used dried than canned (such as onions) and dried potato slices for potato scallop. Dried also gives you more portion control at time of use: if you just want a small handful of dried carrots to toss into a soup, you just open the jar, take out your small handful, and put the lid back on. If the carrots were canned, it’s the whole jar or nothing. 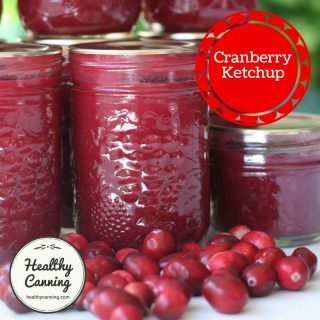 Some people will pride themselves on being canning rebels by canning things such as celery, for which there are no canning directions, when all the time, it’s so much easier to dry it and convert it to delicious celery powder which can be used on its own or in mixes such as such as Mirepoix Powder, Holy Trinity Powder, or Green Onion and Celery dressing mix. And that previous sentence should be a clue about the amazing doors that drying opens to creating gourmet level mixes and seasonings. Drying is also good for a plain old fashioned mental break. 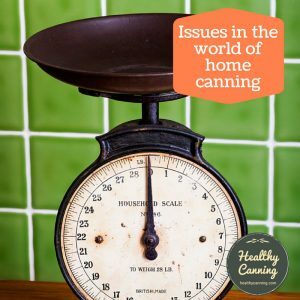 And sometimes, particularly towards the end of canning season, another load of produce wanders in unexpectedly out of nowhere — say peppers, tomatoes or apples — just after you told yourself you were done for the year, and you just can’t face hauling out the canners yet again. Drying is still a bit of work, but, a change is as good as a rest, as the saying goes. Most home preservers use the words interchangeably, and that’s never going to change. If anything, “to dehydrate” is just seen as a fancier way of saying “to dry.” Technically, though, there is a difference. 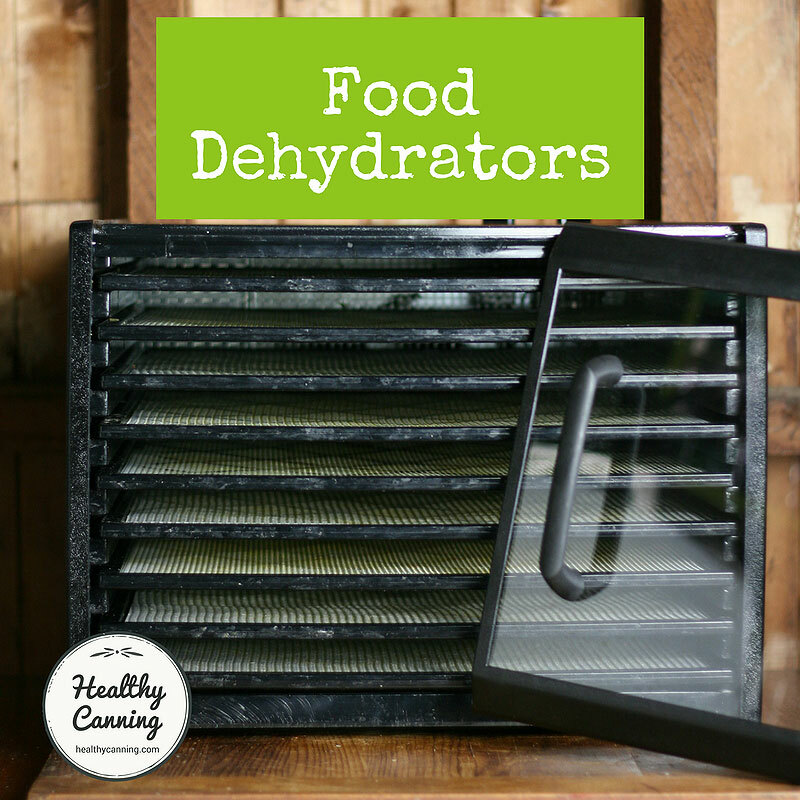 Dehydrating leaves far less water in the food. Although the terms “drying,” “dehydrating,” and “evaporating” are often used casually as meaning the same thing, the USDA Research Service’s fine multivolume Agriculture Handbook No. 8….. lists as dehydrated those foods containing only 2.5 to 4 percent water…… It lists as dried those foods still containing roughly 10 to 20 percent water…” Hertzberg, Ruth. Putting Food By: Fifth Edition (p. 363). Penguin Publishing Group. Kindle Edition. 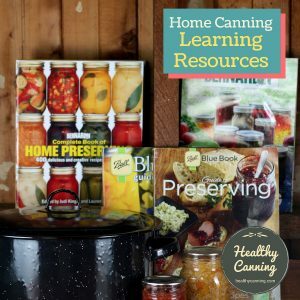 Home food preservation techniques leave 10 to 20 percent water in dried foods. For that reason, the authors go on to say, they opt to use the term “drying” in their book. 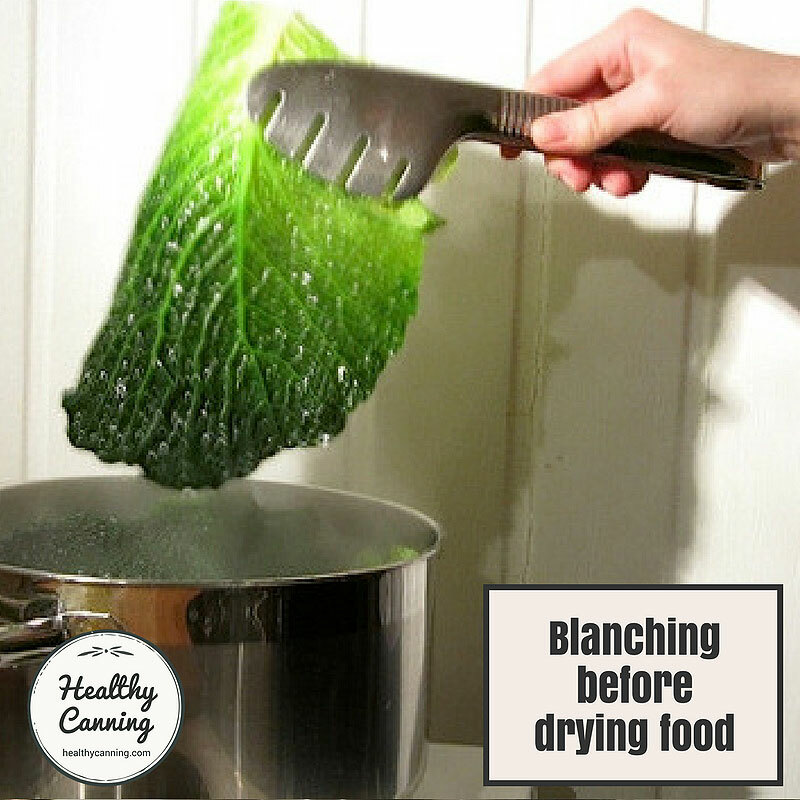 Although peeling some vegetables such as young zucchini and well-washed carrots is optional, unpeeled vegetables tend to be tougher when dried.” Drying Fruits and Vegetables. Swanson, Marilyn A. et al. Pacific Northwest Extension. PNW 397. Third edition, 2009. Page 5. Peeling is optional; however, the skin tends to toughen on apples and pears. The skin reduces surface area, preventing moisture from escaping.” Drying Fruits and Vegetables (Dehydration). LaBorde, Luke and Martha Zepp. PennState Extension. Code EE0065. August 2017. Page 1. Most fresh fruits are eaten with the peels on, so this is the way you’ll probably want to dry them. Citrus peel, however, is great dried alone and can be candied for a confection. The skins of certain vegetables, though, may become tough when dried; others, like that of the cucumber, take on a bitter taste.” Excalibur. Preserve it naturally. Sacramento, California. 4th edition, 2012. Page 21. Thin, uniform, peeled slices dry the fastest. The peel can be left on the fruit, but unpeeled fruit takes longer to dry.” Andress, Elizabeth L. and Judy A. Harrison. So Easy to Preserve. University of Georgia Cooperative Extension. Bulletin 989. Sixth Edition. 2014. Page 336. If higher temperatures are used, the food will cook instead of drying. When the food cooks on the outside and the moisture cannot escape, ‘case hardening’ can occur. The food will eventually mould. Thus, the drying process should never be hurried by raising the drying temperature.” So Easy to Preserve. 2014. Page 330. Set the temperature carefully, keeping in mind that the temperature should be high enough to evaporate moisture from the food but not cook it. 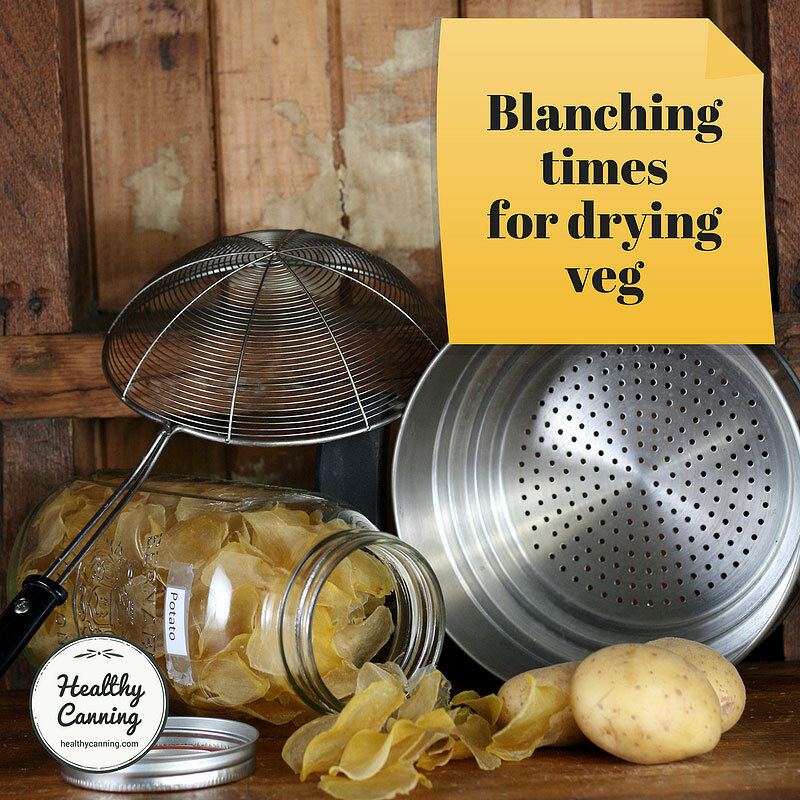 Food should be dried as rapidly as possible, yet not so fast that case hardening occurs. Actually, case hardening takes place when the temperature cooks the outside of the food and traps the moisture in the center. The moisture can’t escape and will cause a flat, sour taste; the product must then be discarded.” Preserve it naturally. Page 24. Low humidity aids the drying process. Food contains a lot of water. To dry food, the water must move from the food to the surrounding air. If the surrounding air is humid, then drying will be slowed down.” So Easy to Preserve. 2014. Page 330. So Easy to Preserve also notes that when trying to dry herbs in conditions of high humidity, it is better to remove the leaves and dry them separately, rather than trying to dry whole intact stems of herbs. As well, a higher dehydrator temperature may be helpful: “Pre-heat dehydrator with the thermostat set to 95 F to 115 F. In areas with higher humidity, temperatures as high as 125 F may be needed.” So Easy to Preserve. 2014. Page 359. 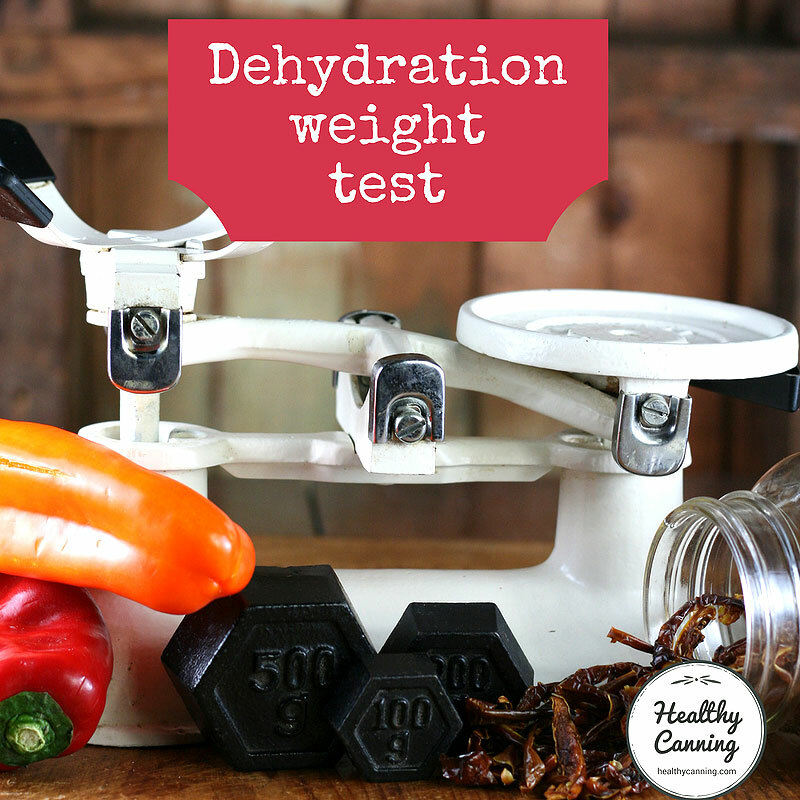 To test foods for dryness, remove a few pieces and let cool to room temperature. When warm or hot, fruits seem more soft, moist and pliable than they actually are. Squeeze a handful of the [ed: cooled] fruit. If no moisture is left on the hand and pieces spring apart when released, they are dry.” Kendall, P. and J. Sofos. Drying Fruits. Colorado State Extension. Fact Sheet No. 9.309. 2012. Page 2. Let the [produce] cool about 30 to 60 minutes, then package. Long delays in packaging dried foods may allow moisture that is in the air to migrate into the food.” Ball Blue Book. 2014. Page 168. After drying, cool [produce] 30 to 60 minutes before packaging. Avoid packaging warm food that could lead to sweating and moisture buildup. However, excessive delays in packaging could allow moisture to re-enter food. 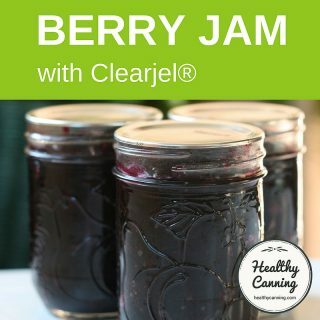 Do not forget, if you have dried fruit out-of-doors, it must be pasteurized before it is packaged.” So Easy to Preserve. 2014. Page 341. …make sure that the food has completely cooled. Packaging warm is a definite ‘don’t’. Heat causes sweat, or condensation, to form on the inside of the container which will eventually result in the food molding or spoiling. Do package the food as soon as it is cool to prevent any moisture from being reabsorbed. It is permissible to leave the food in the dehydrator to cool. Make sure the food is closed and the unit is turned off. 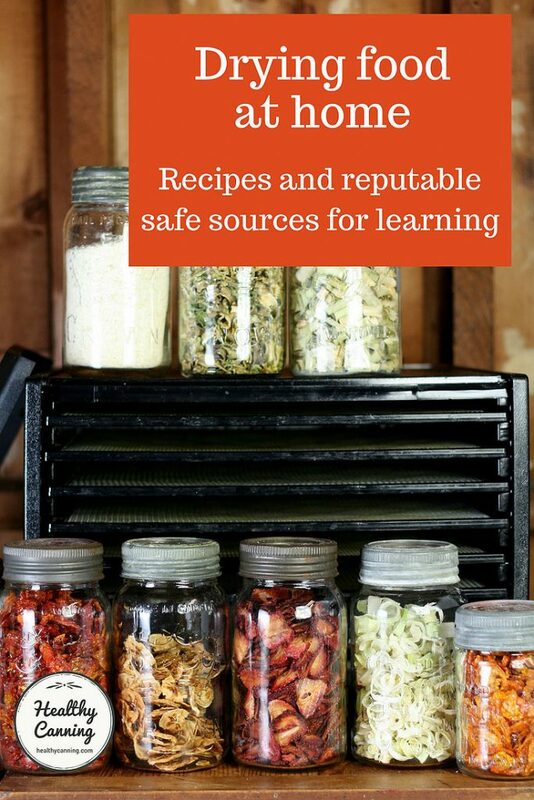 In 30 minutes to an hour, transfer the food into proper storage containers. 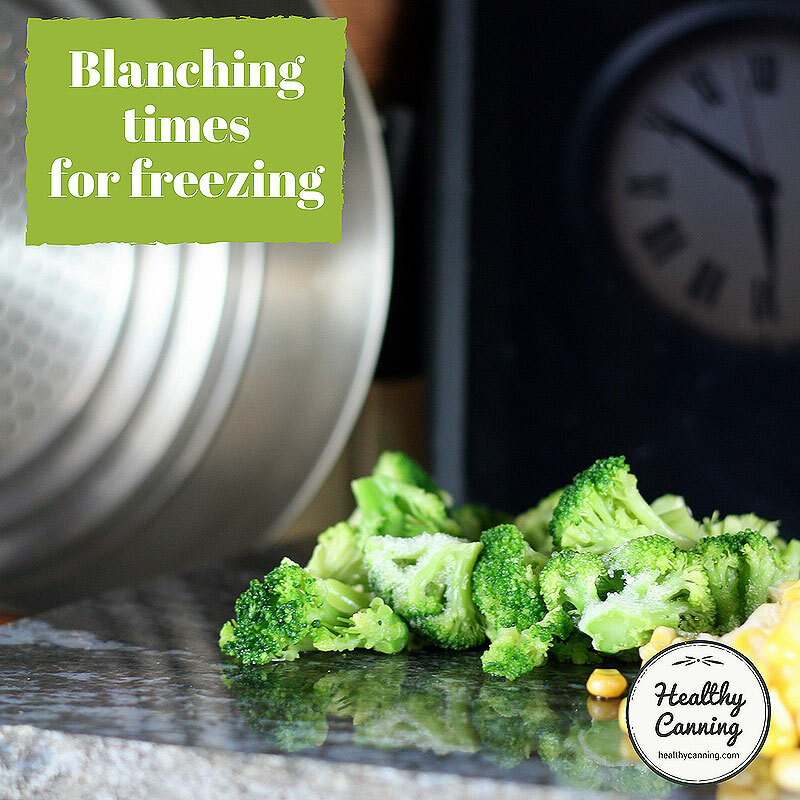 Leaving the food in the dehydrator too long after the food is dry will cause humidity from the air to collect and make it sticky.” Preserve it naturally. Page 29. After packing, over the course of the next week and a half check the containers regularly to make sure that no moisture appears. If it does, get the food out and dry it a bit more. Sugar and salt increase time for food rehydration; add sugar or salt during the last 5 minutes of rehydration for best results. Source: Ball Blue Book. Muncie, Indiana: Healthmark LLC / Jarden Home Brands. Edition 37. 2014. Page 164. “Because fruits contain sugar and are sticky, spray the drying trays with non-stick cooking spray before placing the fruit on the trays. 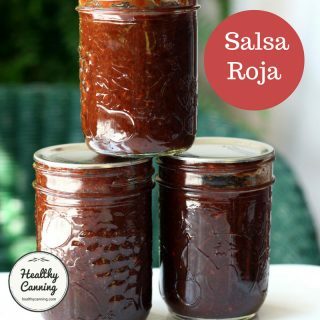 After the fruit dries for 1 to 2 hours, lift each piece gently with a spatula and turn.” So Easy to Preserve. Page 337. “Prepare only as many vegetables as can be dried at one time. Holding vegetables, even in the refrigerator, after washing and preparation for drying will result in loss of quality and nutrients.” So Easy to Preserve. Page 346. “Food dries much faster at the end of the drying period, so watch it closely.” So Easy to Preserve. Page 340. Even with better-quality flat, heat-from-back dehydrators such as Excalibur in which theoretically the trays don’t need moving about during drying, you can still get a better-quality (and faster) drying experience by giving the trays a quarter-turn in the machine every few hours or so if you are able to. Dried fruits will generally be pliable; dried vegetables will generally be crisp. 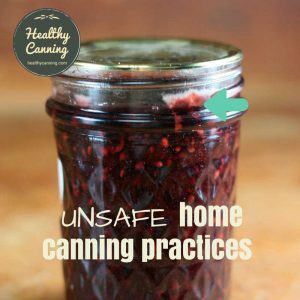 When you are canning, there is water everywhere and water is your ally: sufficient water / liquid are vital for proper heat penetration inside the jar. When you are drying, water is your enemy. 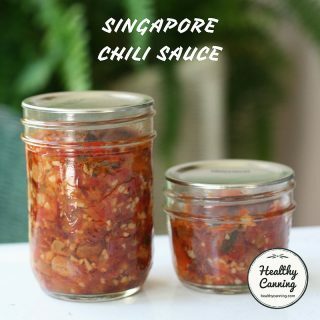 You want to drive it out of the food, and when you are packaging dried foods into jars, a single drop of water on the countertop can be your enemy. 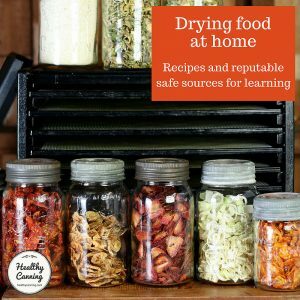 Unlike canning, in which you follow precise instructions for packaging and processing times to keep the food safe to eat, food drying is flexible. Decisions about food-piece sizes, food mixtures, pretreatments, and packaging are yours. Drying time is determined less by the clock than by simple tests you perform.” Swanson, Marilyn A. et al. Drying Fruits and Vegetables. Pacific Northwest Extension. PNW 397. Third edition, 2009. Page 2. 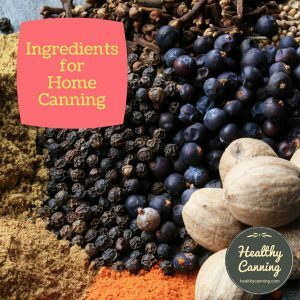 They also note, when it comes to usage, an advantage that dried goods can have over home-canned goods in terms of usage. When you break the seal on a jar of canned goods, that’s it, the jar is permanently open, and you have to use or refrigerate the contents. 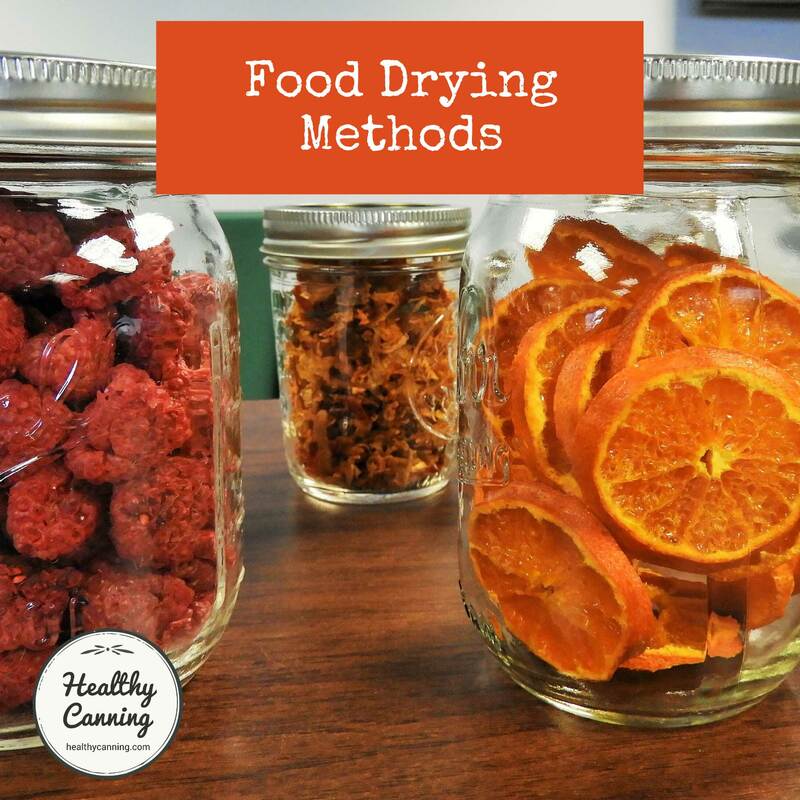 Jars of dried goods can be accessed as many times as you want, to take out only what you want, and then easily resealed without a second thought: “Unlike canned foods, packages can be opened and closed again and again.” Drying Fruits and Vegetables. Page 2. 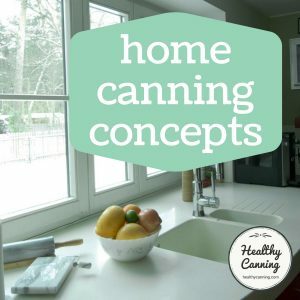 Recommended methods for canning and freezing have been determined by research and widespread experience. Home drying, however, does not have firmly established procedures.” Troftgruben, Judy et al. Drying Food. Illinois Cooperative Extension Service. Urbana-Champaign. 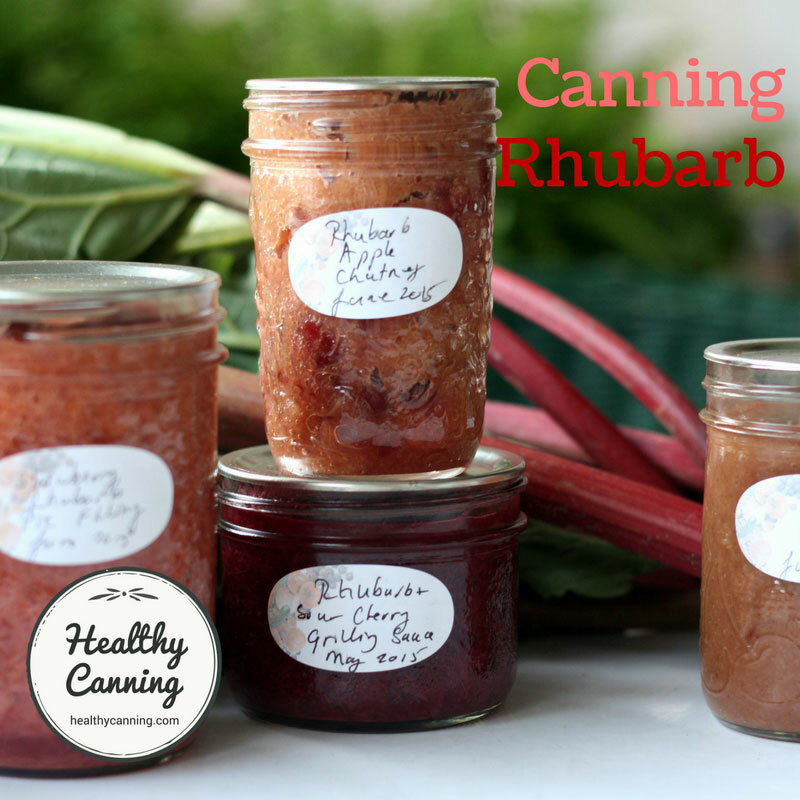 In canning, the processing time given is meant to be followed exactly. If you shorten it, you compromise both safety and quality. When water bath canning, you extend time based on altitude. The clock tells you when processing time is up. There’s an exact, defined end to it. In drying, however, the “processing time” is an estimate and will probably always vary based on the water content in that batch that you are drying, and based on the humidity of where you are at the time. You will extend drying time based on humidity. There’s no exact, defined end to the drying time: you have to do manual visual and tactile inspections to determine if the food preservation process is complete. 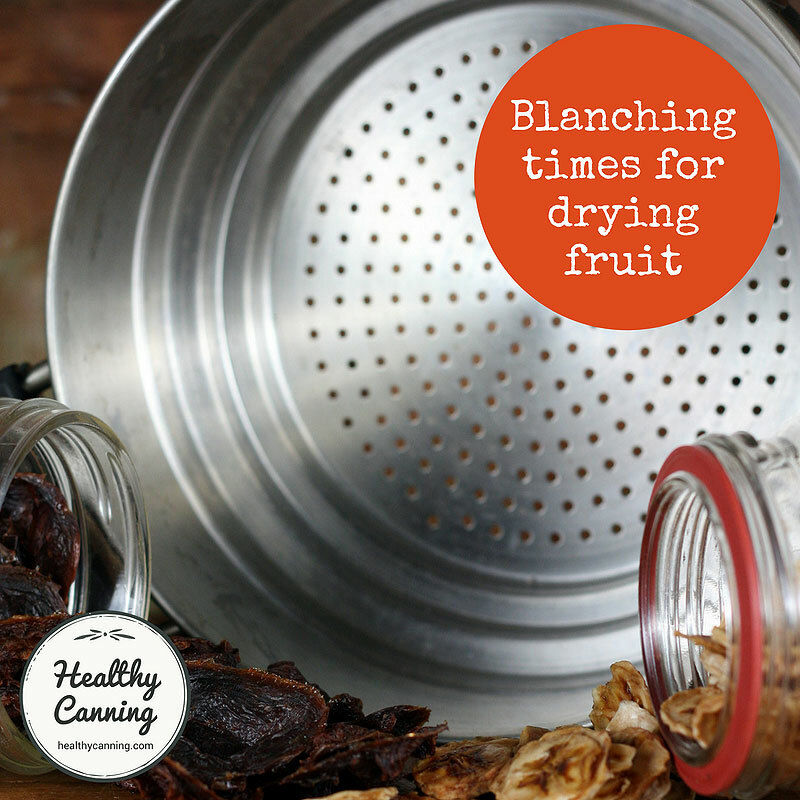 Click here for a list of step-by-step drying directions for specific fruits and vegetables. 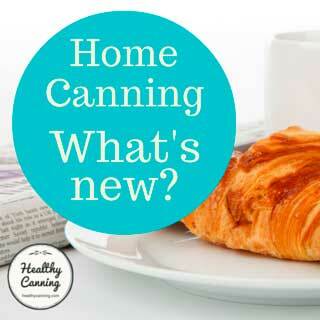 Compared with frozen or canned foods, dried foods have lower nutritive value. Fruits and vegetables are an important source of dietary fiber and drying does not alter the fiber content of the food. Dried fruits are a concentrated source of energy from naturally occurring sugar. Vegetables and fruits are important sources of vitamins, especially A (beta carotene), C (ascorbic acid), and B vitamins such as folic acid and B6. 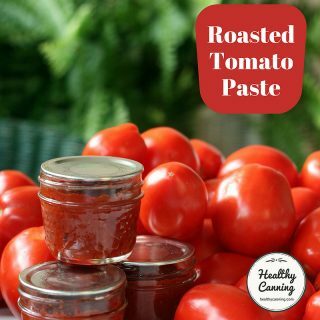 Drying will never replace canning and freezing because these methods do a better job of retaining the taste, appearance, and nutritive value of fresh food.” Drying Food. Illinois Cooperative Extension Service. 1. ↑ Hertzberg, Ruth. Putting Food By: Fifth Edition (p. 363). Penguin Publishing Group. Kindle Edition. 2. ↑ Drying Fruits and Vegetables. Swanson, Marilyn A. et al. Pacific Northwest Extension. PNW 397. Third edition, 2009. Page 5. 3. 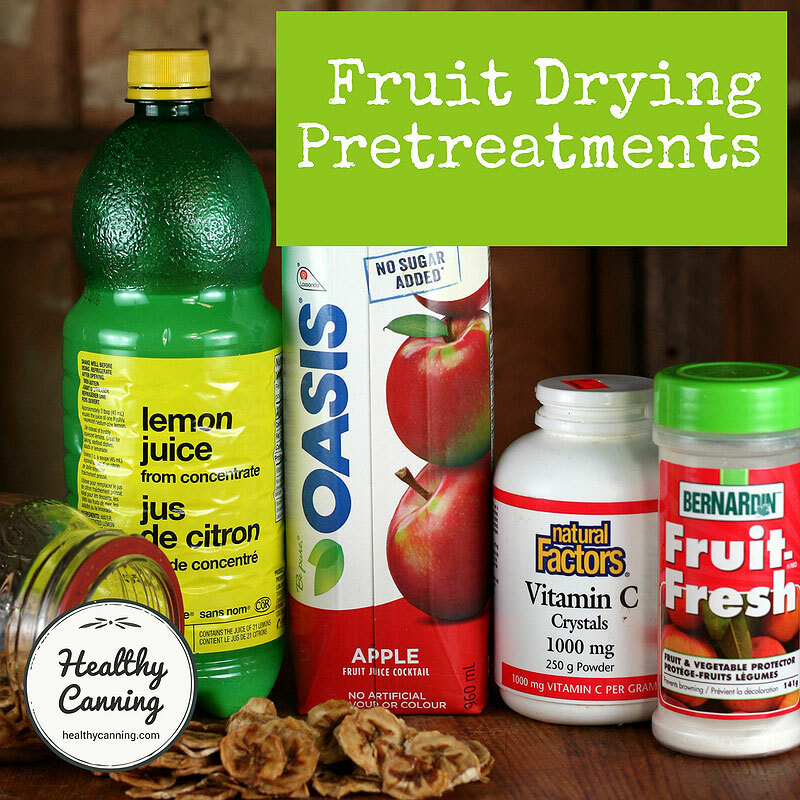 ↑ Drying Fruits and Vegetables (Dehydration). LaBorde, Luke and Martha Zepp. PennState Extension. Code EE0065. August 2017. Page 1. 4. ↑ Excalibur. Preserve it naturally. Sacramento, California. 4th edition, 2012. Page 21. 5. ↑ Andress, Elizabeth L. and Judy A. Harrison. So Easy to Preserve. University of Georgia Cooperative Extension. Bulletin 989. Sixth Edition. 2014. Page 336. 6, 8. ↑ So Easy to Preserve. 2014. Page 330. 7. ↑ Preserve it naturally. Page 24. 9. ↑ So Easy to Preserve. 2014. Page 359. 10. ↑ Kendall, P. and J. Sofos. Drying Fruits. Colorado State Extension. Fact Sheet No. 9.309. 2012. Page 2. 11. ↑ Ball Blue Book. 2014. Page 168. 12. ↑ So Easy to Preserve. 2014. Page 341. 13. ↑ Preserve it naturally. Page 29. 14. ↑ So Easy to Preserve. Page 337. 15. ↑ So Easy to Preserve. Page 346. 16. ↑ So Easy to Preserve. Page 340. 17. ↑ Swanson, Marilyn A. et al. Drying Fruits and Vegetables. Pacific Northwest Extension. PNW 397. Third edition, 2009. Page 2. 18. ↑ Drying Fruits and Vegetables. Page 2. 19. ↑ Troftgruben, Judy et al. Drying Food. Illinois Cooperative Extension Service. Urbana-Champaign. 21. ↑ Drying Food. Illinois Cooperative Extension Service.